Posted: Nov 02, 2017 00:29 Post subject: Re: Favourite Fluorites? Where's everyone gone? 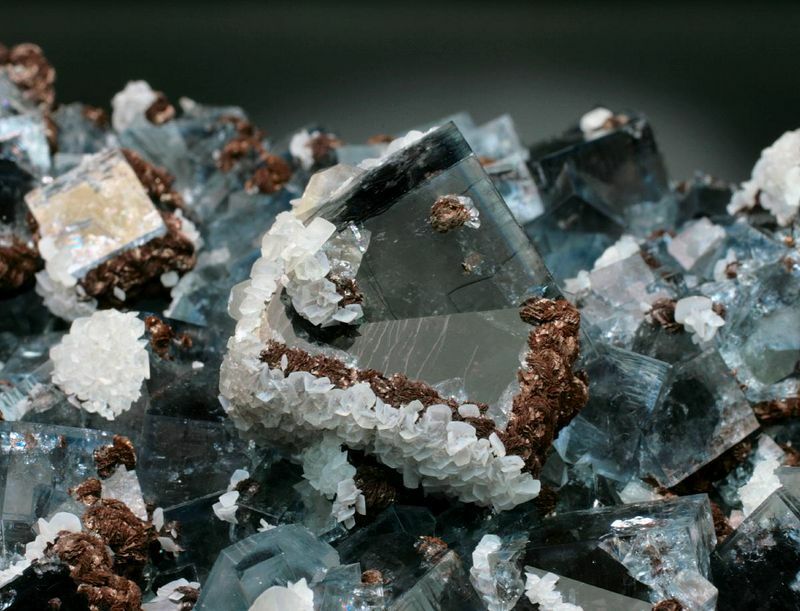 Are fluorites falling out of favor? Posted: Nov 02, 2017 02:14 Post subject: Re: Favourite Fluorites? Posted: Nov 02, 2017 07:41 Post subject: Re: Favourite Fluorites? Here is a sharp cubic clear fluorite with purple around the edges, and accented by poker chip calcite. 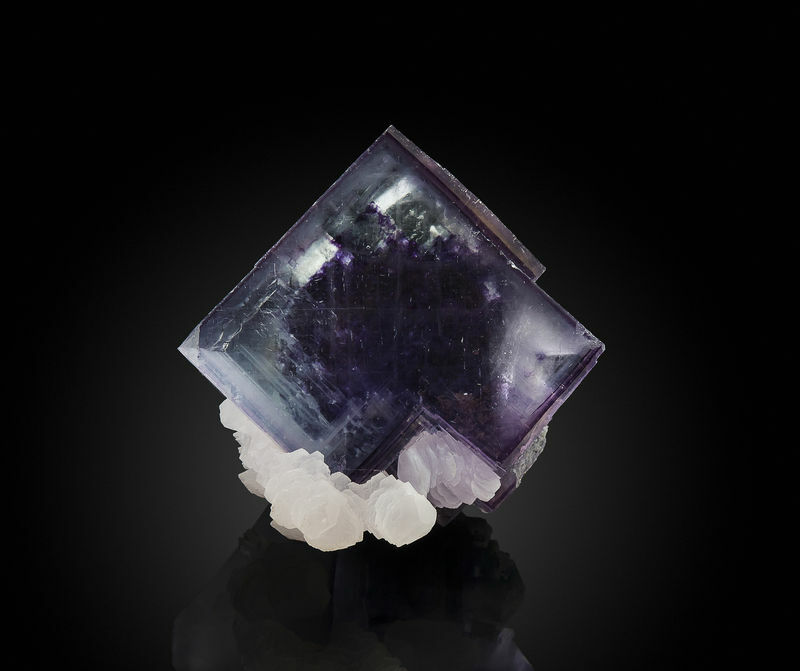 Within the cubic crystal is a dark purple cuboctohedral phantom. Very uniqie and beautiful. Measures 8x8x6 cm. Posted: Nov 07, 2017 08:44 Post subject: Re: Favourite Fluorites? Posted: Nov 07, 2017 09:13 Post subject: Re: Favourite Fluorites? What a magnificent specimen! I've never seen two generations of fluorite in such an outstanding and superb quality, really awesome! Posted: Nov 07, 2017 11:50 Post subject: Re: Favourite Fluorites? Not yet Jesse, but maybe people are too busy? Posted: Nov 07, 2017 13:47 Post subject: Re: Favourite Fluorites? 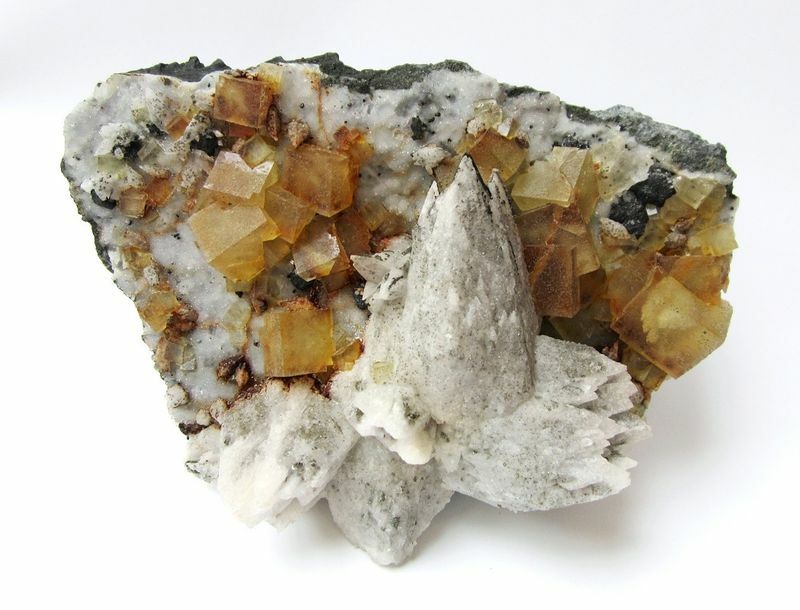 This Valzergue fluorite is a killer. The best I have seen; very clear, and with nice contrast on the white quartz matrix. 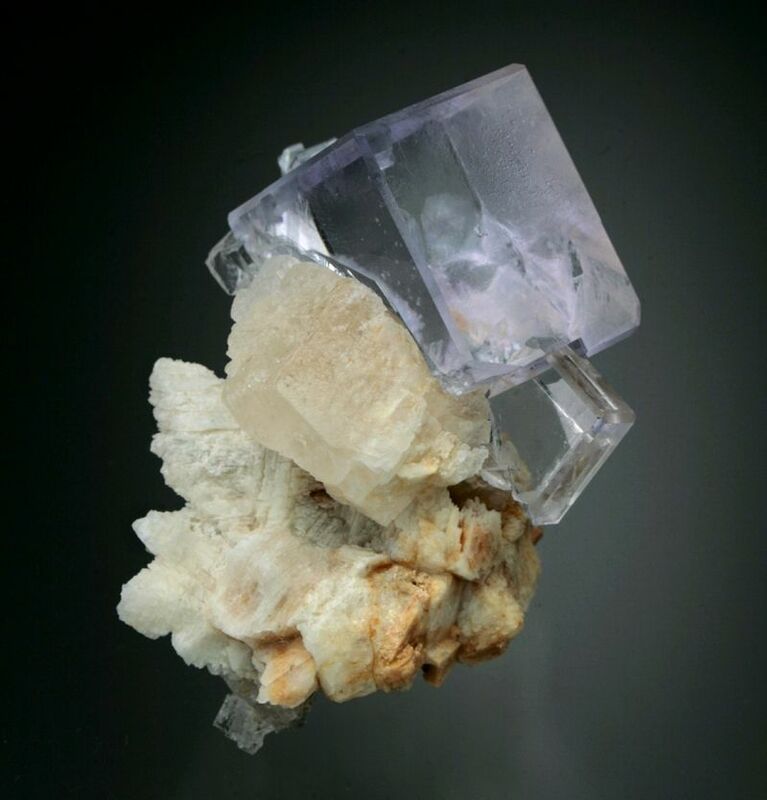 Posted: Nov 10, 2017 08:50 Post subject: Re: Favourite Fluorites? 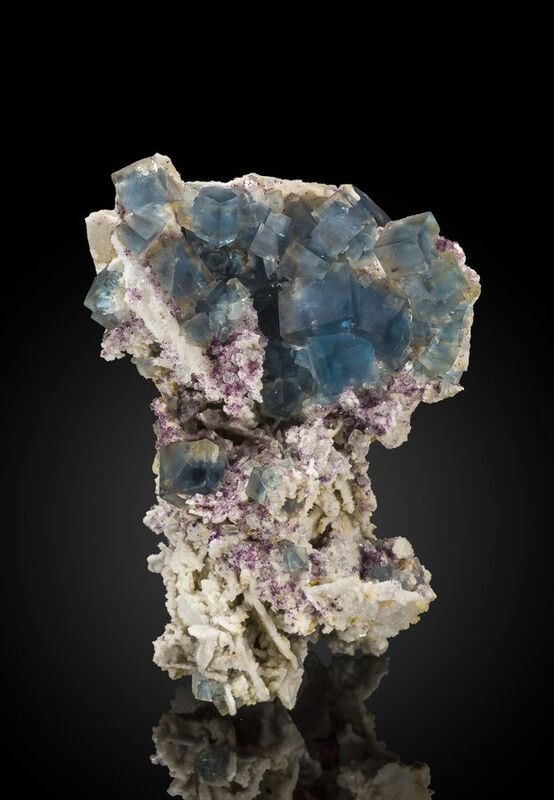 This teal blue large fluorite cluster with accenting dolomite is from a relatively new find at the Green Fluorite mine, Chenzhou China. This specimen measures 13 x 13 x 8 cm and is contacted on the back side where it was removed from the pocket. Posted: Nov 10, 2017 10:34 Post subject: Re: Favourite Fluorites? Posted: Nov 10, 2017 11:49 Post subject: Re: Favourite Fluorites? Something new from the West Level of the Boltsburn Mine. Unusual blue color for Weardale. 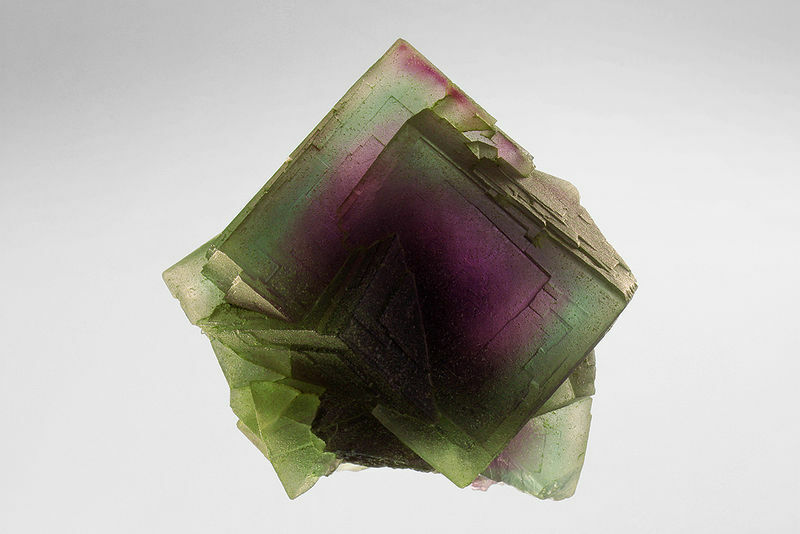 Posted: Nov 13, 2017 12:58 Post subject: Re: Favourite Fluorites? Posted: Nov 17, 2017 13:33 Post subject: Re: Favourite Fluorites? From recent find, "Coquera del Tubo" pocket. 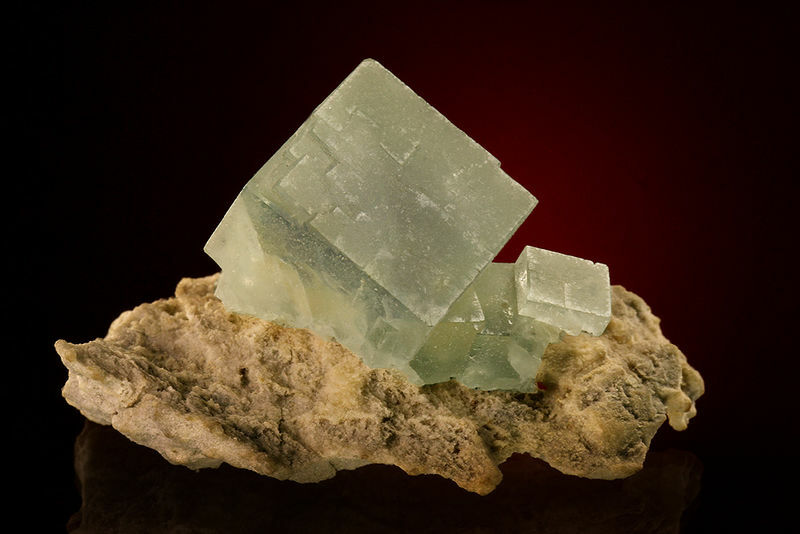 Posted: Nov 20, 2017 08:52 Post subject: Re: Favourite Fluorites? One of my favorites. 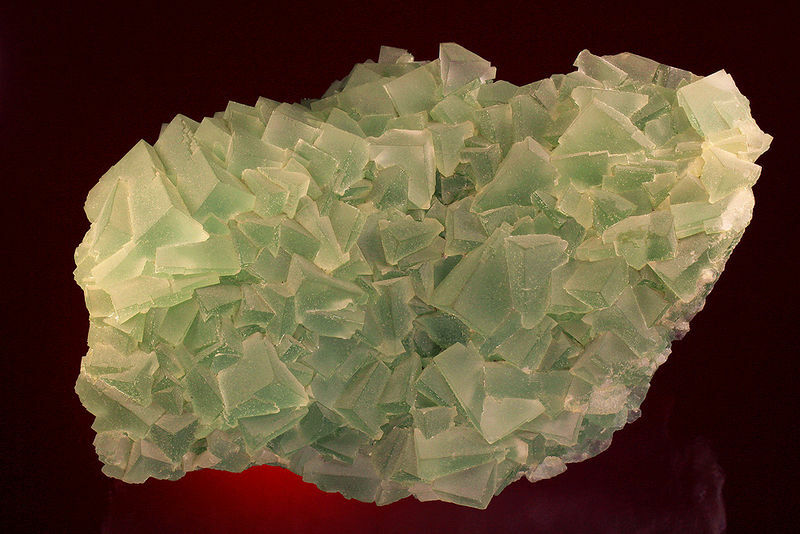 A large multi-stepped gemmy green crystal on quartz matrix from China. The large crystal is perfect all around with 4 distinct flat terminations, reminds me of a Mayan temple. Measures 11 x 9 x 7 cm. From Sanming Prefecture, Fujian China. Posted: Nov 20, 2017 13:01 Post subject: Re: Favourite Fluorites? 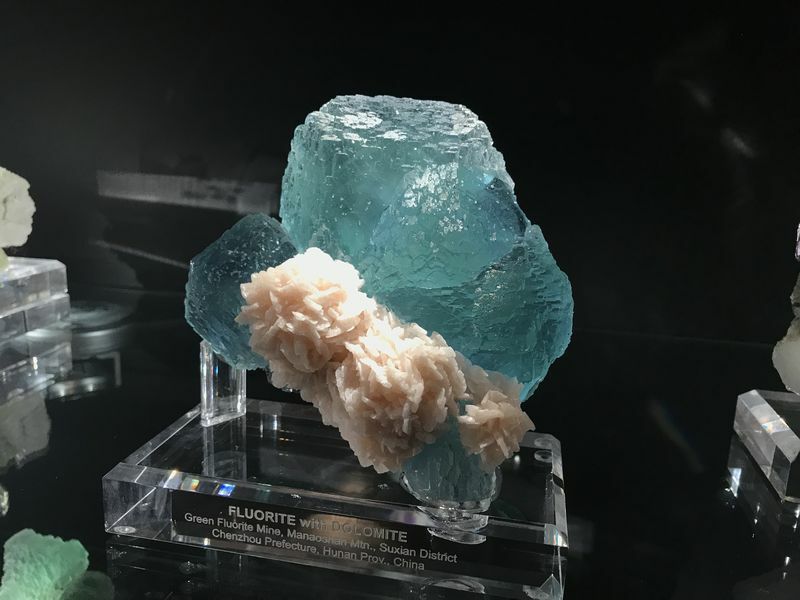 Posted: Nov 27, 2017 17:02 Post subject: Re: Favourite Fluorites? 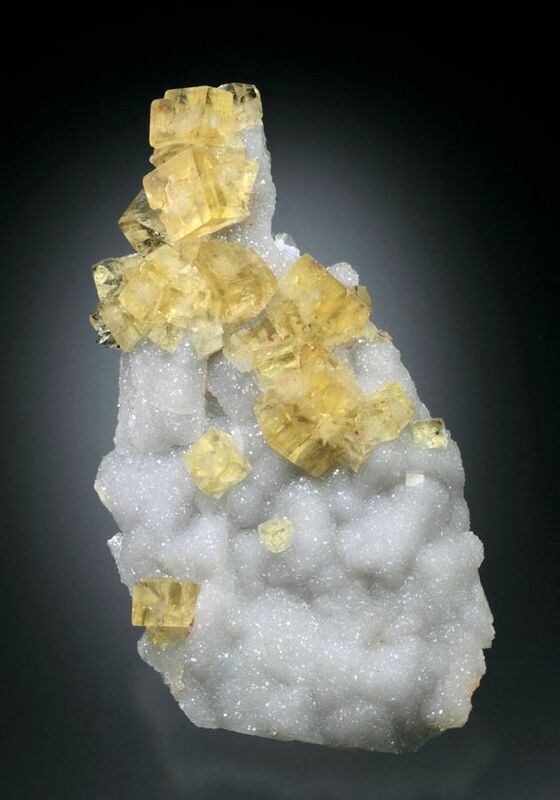 This specimen is from Le Beix mine Auvergne, France. 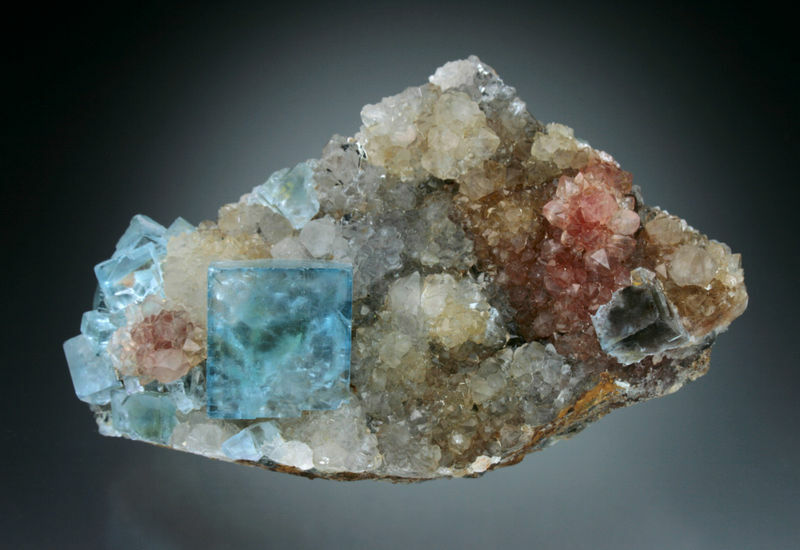 It measures 15.5 x 12 x 8.5 cm and features cubic fluorite with light blue cores and a colorless outer rims. 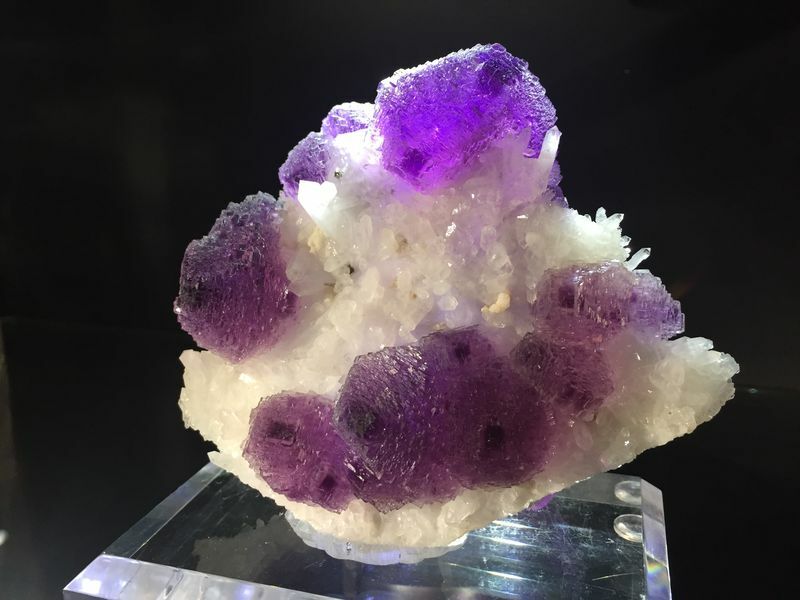 There is also a second generation of small purple fluorites as a nice accent, and all on a quartz matrix. The largest cubes are 3 cm across. Posted: Dec 04, 2017 14:10 Post subject: Re: Favourite Fluorites? 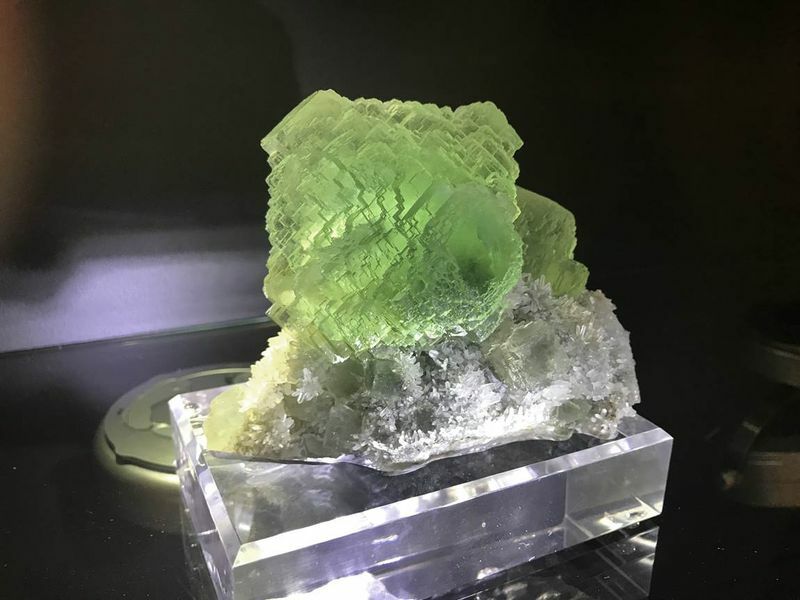 Here is a Shangbao fluorite, one of my favorite locations. 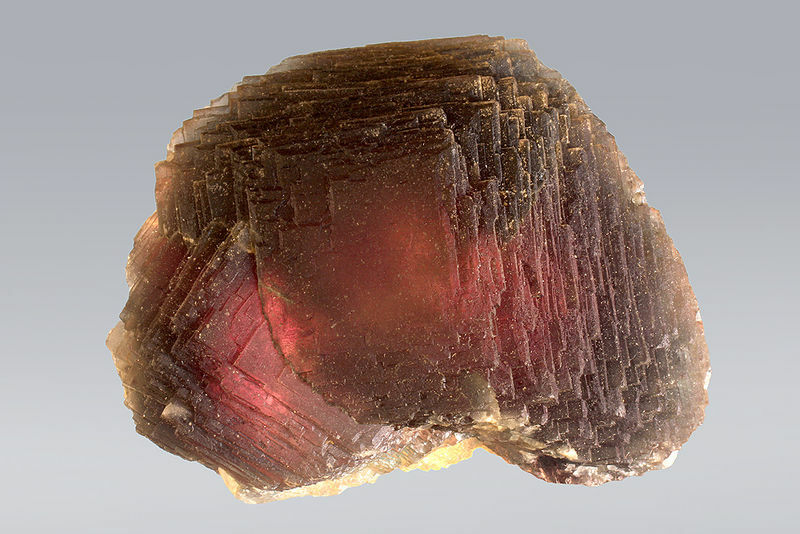 It features multiple gemmy raspberry colored crystals (front and back) on a quartz matrix. Measures 9 x 5 x 4 cm. Posted: Dec 05, 2017 12:31 Post subject: Re: Favourite Fluorites? Posted: Dec 06, 2017 06:21 Post subject: Re: Favourite Fluorites? 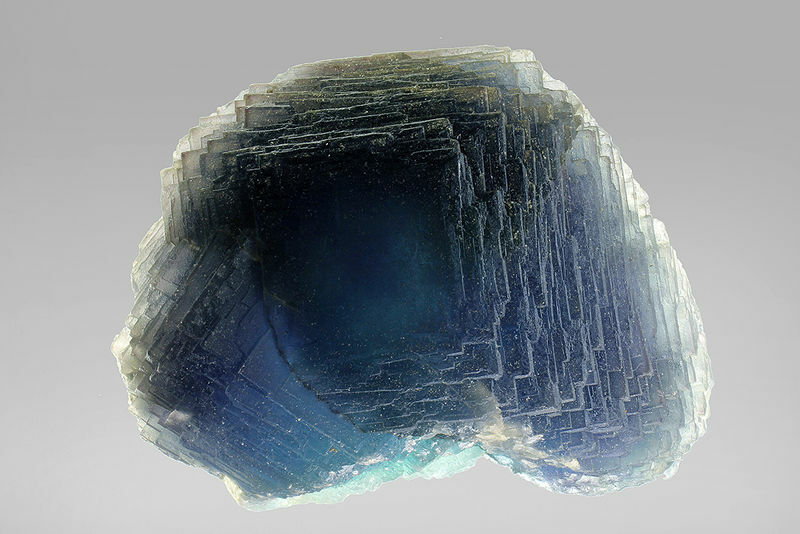 Up to now I miss Austrian Fluorites. Now some specimens from Weisseck mountain for a start. 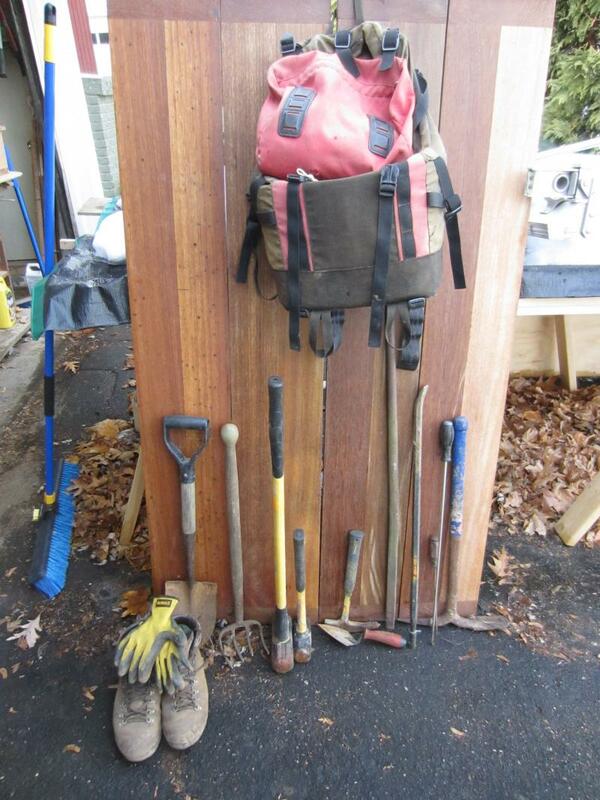 Older find from around 1980 - not from the summit cleft. Austrian collectors called it "Wiener Loch" because it was found by collectors from Vienna. 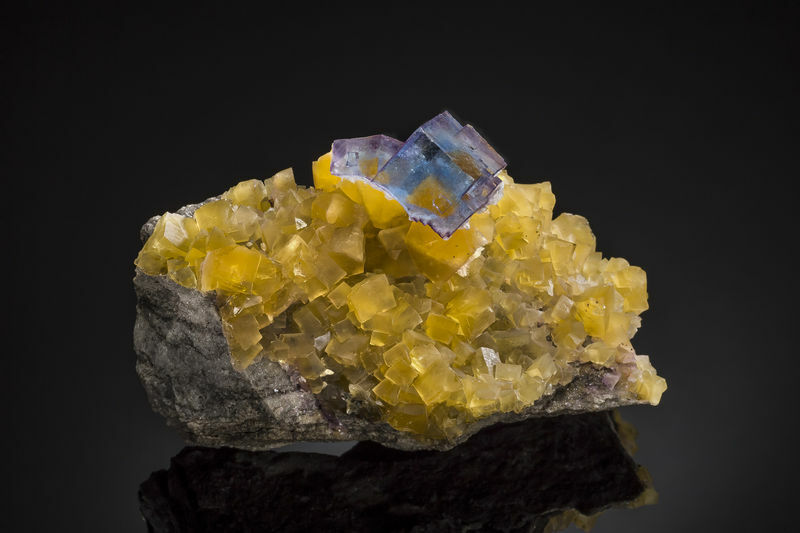 An other sample from the old finds at "Wiener Loch"
Posted: Dec 06, 2017 10:32 Post subject: Re: Favourite Fluorites? 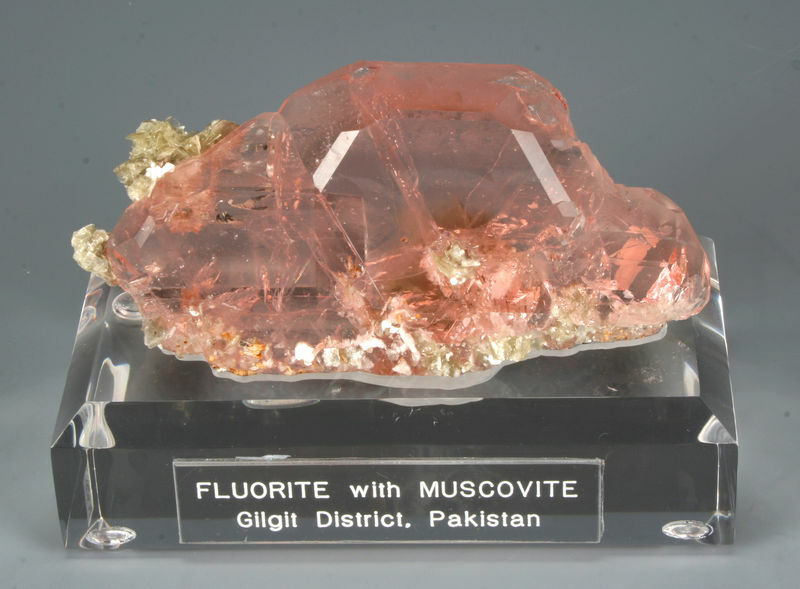 Posted: Dec 06, 2017 15:25 Post subject: Re: Favourite Fluorites? Another French blue, from Mont-Roc.